click on the button show below and proceed with the page instruction. 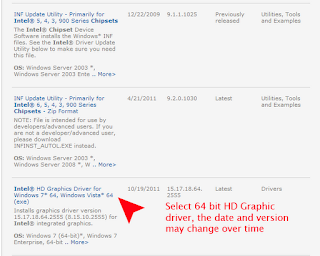 3- On the search result look for Intel® HD Graphics Driver for Windows 7* 64, Windows Vista* 64. Click on the link. 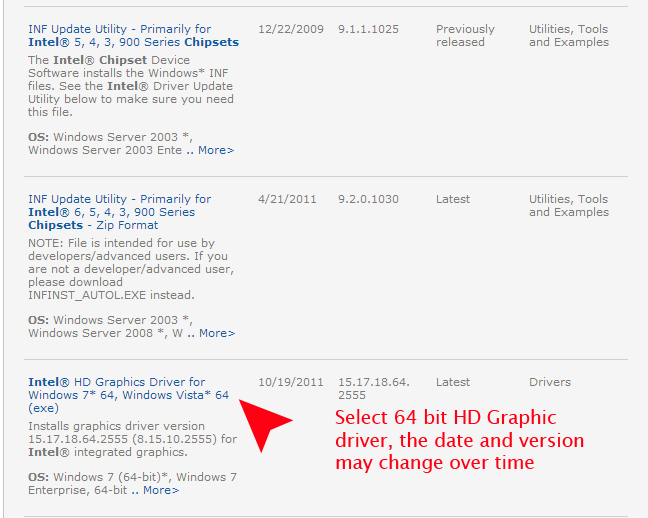 !Don't choose INF update Utilities from the search result, it is for Chipset not for graphic. 5. 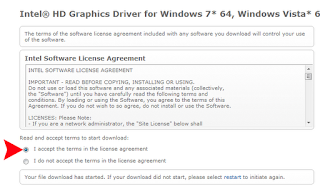 Click agree and after that it will begin the download. 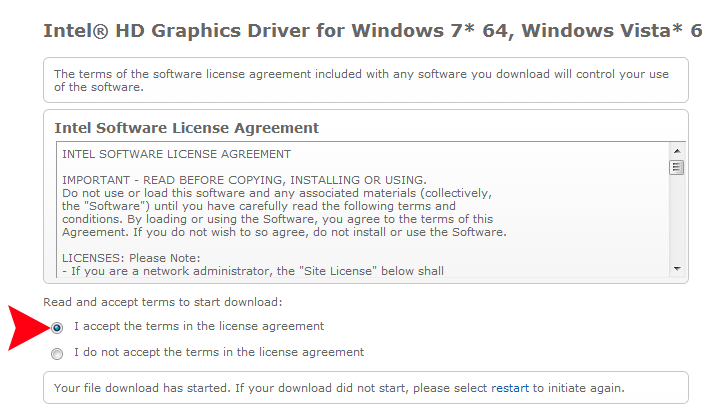 Install the driver and restart.